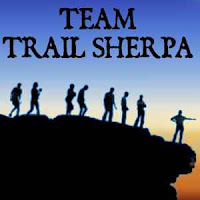 As some of you may know, we are contributors for TrailSherpa.com. We were invited by Tim Miner to join the team of contributors and we gladly accepted as it would be a mutually beneficial relationship. Well our first trail report has just been posted on the site. 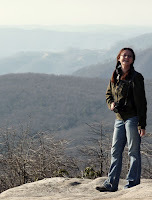 This trail is the Ewing Trail up to White Rocks in Cumberland Gap National Historic Park. Once you see the trail report, you might be wondering, "How on Earth did Robin make it up that trail and 8 months pregnant?" We did this trail last year and decided since we haven't been out on the trail since our trip to Judge Branch, we'd do a write up on White Rocks. We hadn't done a report for this hike because we hiked up to White Rocks well before the "Blog Revitalization" effort back in October last year. Anyway, head on over to TrailSherpa.com and check out our report. While you're there, if you aren't already a member, sign up and join the fun. 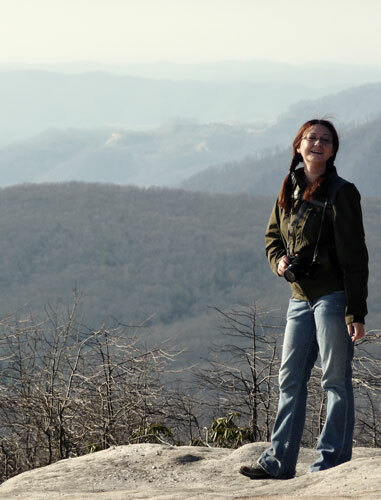 There's plenty of like minded people who love the outdoors and hiking. You won't be disappointed.